Shortly after Twitter announced a stricter set of rules for its application programming interface (API), developers and engineers turned to platform to use the #OccupyTwitter hashtag in protest. “Twitter’s API has more rules than North Korea,” said Aaron Levie, CEO of Box. While Spivack’s fears might be overblown, it’s clear that Twitter seeks to limit the number of third-party app users by barring apps from supporting more than 100,000 users. If they already over the limit, they will not be allowed to grow beyond 200% of their user base without Twitter’s permission. Aside from limiting user growth, Twitter will be imposing more stringent authentication rules. It will also compel developers to take a different direction in creating apps by “encouraging” them to focus on engagement and analytics. After the updated API is launched, developers will have a six-month deadline to to migrate to the new version. 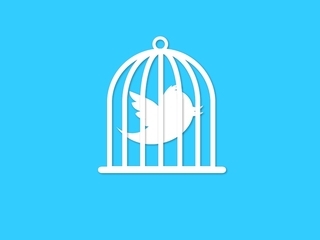 What do you think of using Twitter as a way to protest against Twitter’s new API? Should developers just accept the new rules without complaint? Let us know in the comments.